Madonna is known for pushing boundaries musically for the past 35 years. The “Queen of Pop” is known worldwide for inspiring artists being true to her self. After moving to New York from Michigan, Madonna signed with Sire Records in 1982. There, she produced hit after hit. Some of her most iconic albums include Like a Virgin (1984) and Confessions on a Dance Floor (2005). Her timeless songs are still on rotation today. Form “Like a Virgin, to “Take a Bow” to “Vogue,” Madonna has proven why she is the best-selling female recording artist of all-time by Guinness World Records. She has sold over 300 million records worldwide. She is the most successful solo act behind the Beatles, according to Billboard. The Queen of Pop has also been apart of many other projects including acting, fashion design, writing children novels and as a successful businesswoman. Madonna recently celebrated her 60th birthday, and is now living in Lisbon to help her son pursue his soccer aspirations. Her Sunset Boulevard mansion, which she bought for $12 million in 2003 and sold for $19.5 million in 2013, is now on the market. In her care, the lot has been transformed to one of Beverly Hills best homes. 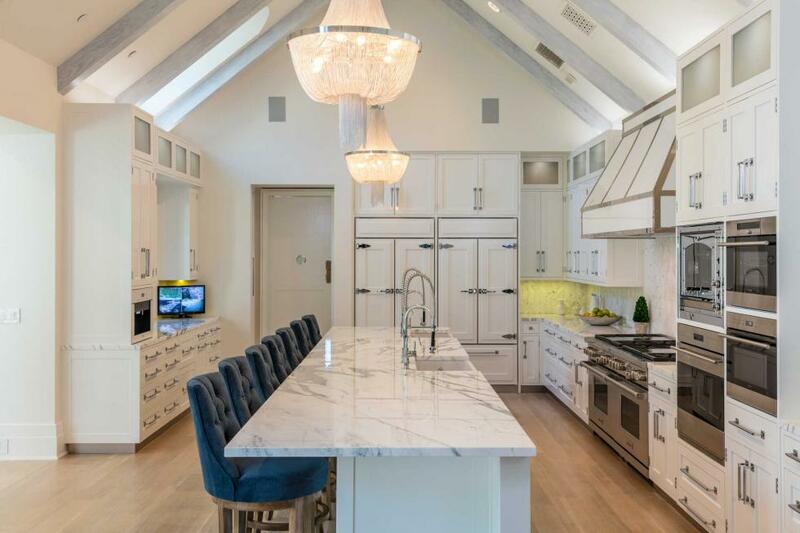 With its prime location, Beverly Hills mansions are frequently updated, but Madonna’s former French Normandy-style home is ready for the spotlight with its recent makeover. The 5,800-sqaure-foot property was built in 1968 has two separate guest houses, an acre of land, eight bedrooms and 14 baths. 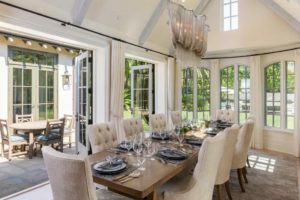 Designed to take full advantage of the climate for indoor-outdoor living, the bright sunny interior with its vaulted and beamed ceilings opens to a 60-foot pool and spa and a north-south tennis court on the mature landscaped grounds. The mansion even has a 15-seat theater is surround-sound connected to four other television viewing areas. The main house also includes seven fireplaces, a full bar, well equipped fitness center and staff quarters. 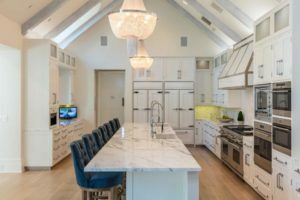 The chef’s kitchen includes new custom cabinets and there is also a secondary kitchen. Listed at $35 million, live like the queen in Madonna’s former Beverly Hills mansion. 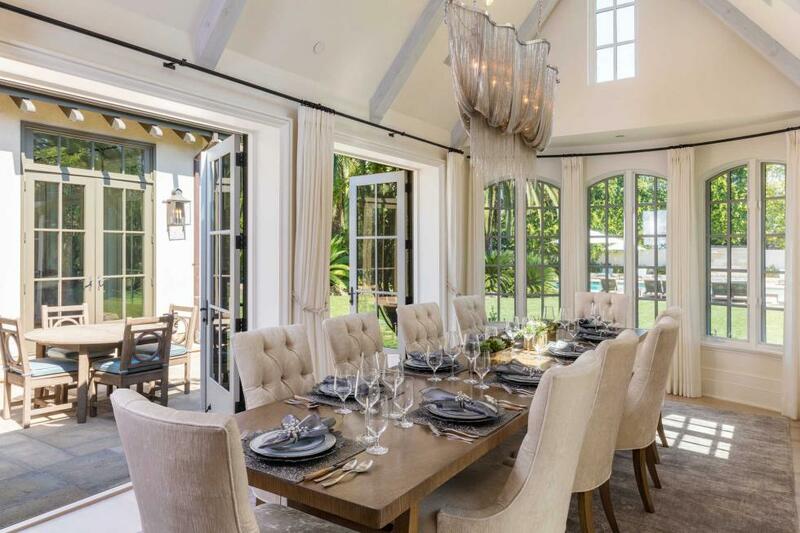 Mauricio Umansky, founder and CEO of The Agency, Beverly Hills, is the listing agent. To hear more about celebrity listings, keep up with California Life HD!